Another wonderful yarn that was sent my by Tracey of Interlacements Yarns was a new base MoMoMo in colorway Odyssey. Of course I love the colors! But the boucle texture of the mohair was an interesting challenge to work with. Just not being in the mood to knit this yarn, I picked up a crochet hook and started playing. This cowl was what had to be made. 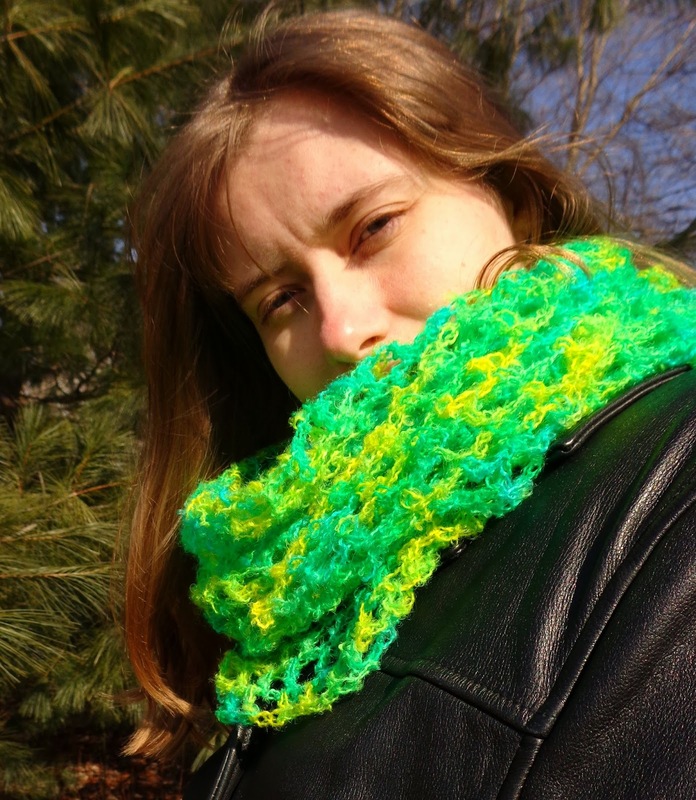 The mobius loop adds an extra bit of interest in the larger sizes, or crochet the small size as a regular loop. If you decide to make this pattern I would love to see your projects on Ravelry. 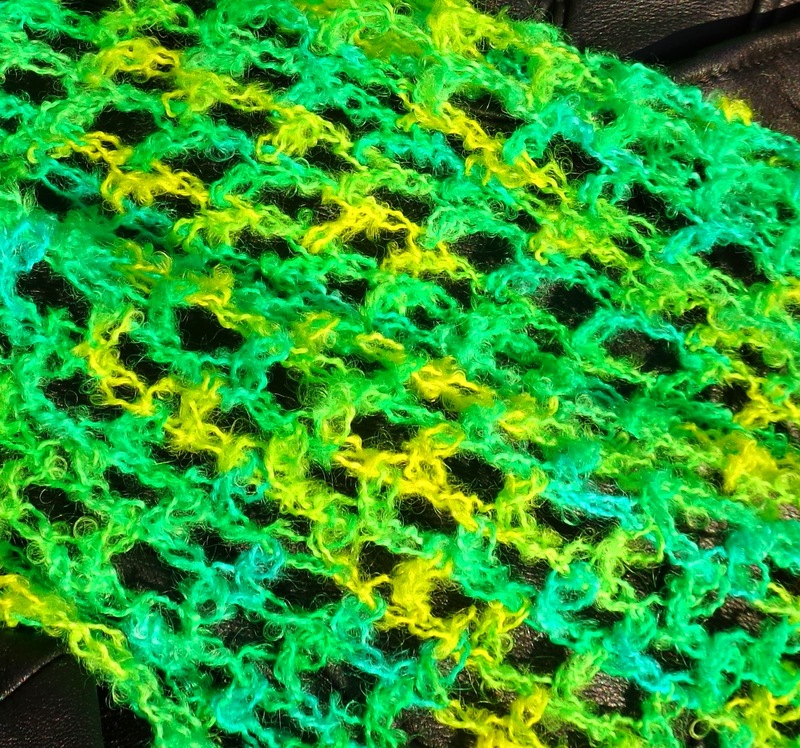 My Spring Cowl Project on Ravelry (pattern coming soon).